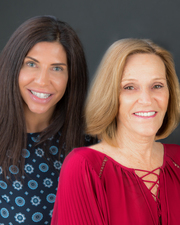 Tina Cimmino and Kathy Racine partnered in order to provide you with unparalled service. You always have two realtors working on your behalf. We take great pride in the service we are able to offer our clientele. With over 20 years of experience in the Las Vegas Valley real estate industry, we understand the market and utilize the latest in technology to assist you with finding or selling your dream home. For buyers, this means finding and negotiating the best deals. We will provide you with comprehensive information on comparable sales so you can make an informed decision. We will hold your hand every step of the way, from financing through closing of your new home. For sellers, it means helping you to receive the highest possible price by ensuring that your listing is showcased on our website as well as the most popular local, national, and international websites that target buyers searching for property in Las Vegas and it's surrounding areas. When working with us, you can expect unparalleled kowledge and exceptional service through every step of the buying or selling process, which is why our clients are clients for life.